Jim did very well with Santa, I though. He was very interested in Santas Bells, but didn't think that he was scary. 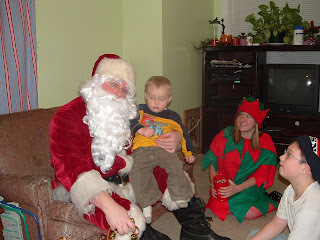 Some of our other kids used to be weary of Santa at this age. But he sat on his lap, got his candy, and was fine. Silly boy.